This article will list restaurants which actually offer Thai food that will make it worthwhile to venture out and have a great tasting and time. Fuschia Kitchen is currently a leader in the Pan Asian food game, and their Thai menu is fantastic. The menu is urban, modern and Fuschia Kitchen has also done a few fusions with their Thai food, two of which are their red curry and green curry pizzas. In the appetizer and main menu, you should definitely give their fried tofu, Thai green curry, and duck curry a try. Bamboo Union is one of Lahore’s most popular restaurants, and is another modern Pan Asian restaurant. Largely known for its pad Thai (considered the best in the city), they also serve a pretty mean green curry. If you want to order in a soup, definitely go for the tum yum gong. But here’s a disclaimer, t’s super spicy. Thai Chi has been around for a while, their taste surprisingly continues to be spectacular. If you’re there and want to order a salad and a soup, we recommend you go for their crispy papaya salad and laksa, which is a turmeric-flavored coconut soup with prawns and rice noodles. Within the mains it is recommend you go for the prawns in thick coconut curry and also their spicy noodles with chicken mince. Mandarin Kitchen doesn’t have a heavy Thai menu, however, they do some great Thai dishes which warrants them being in this piece. 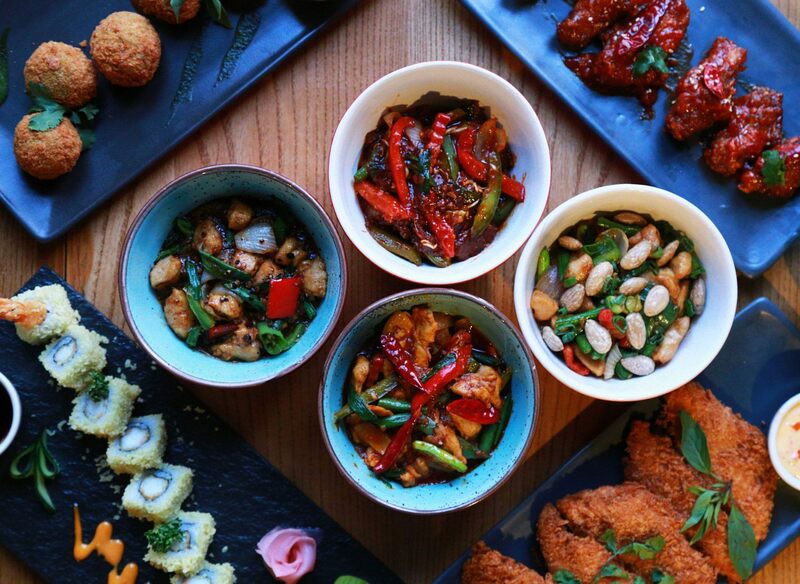 The standout dishes from their Thai menu include tom yum gai soup, pad thai and Bangkok chilli chicken. Have you tried these Thai eateries before? Which is your favorite? Which one will you try next? Do share with us in the comments section below.